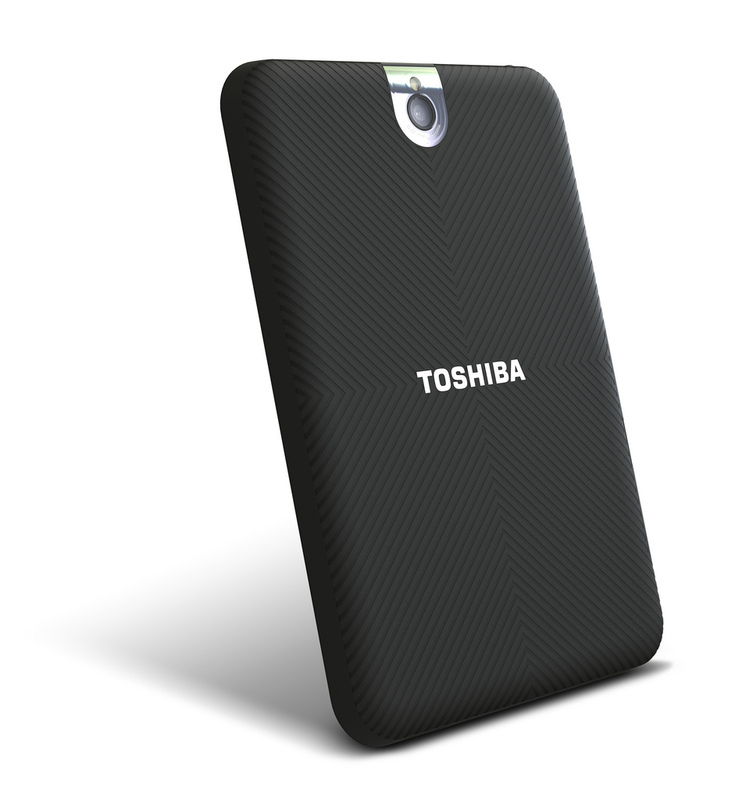 Toshiba has just introduced its new 7-inch Android powered tabled called Thrive 7. 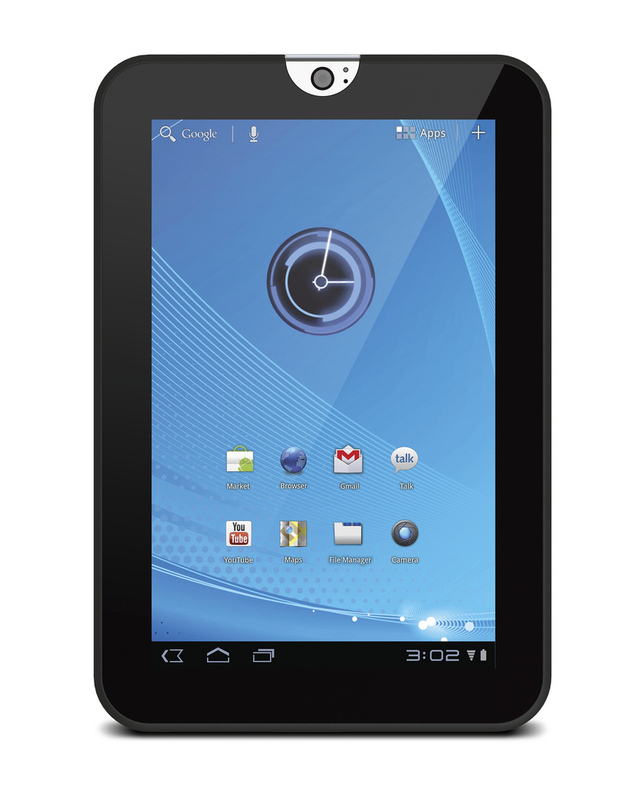 The tablet is just 0.47 inches thick, weighs only 0.88 pounds and features durable and slip-resistant Easy Grip finish. 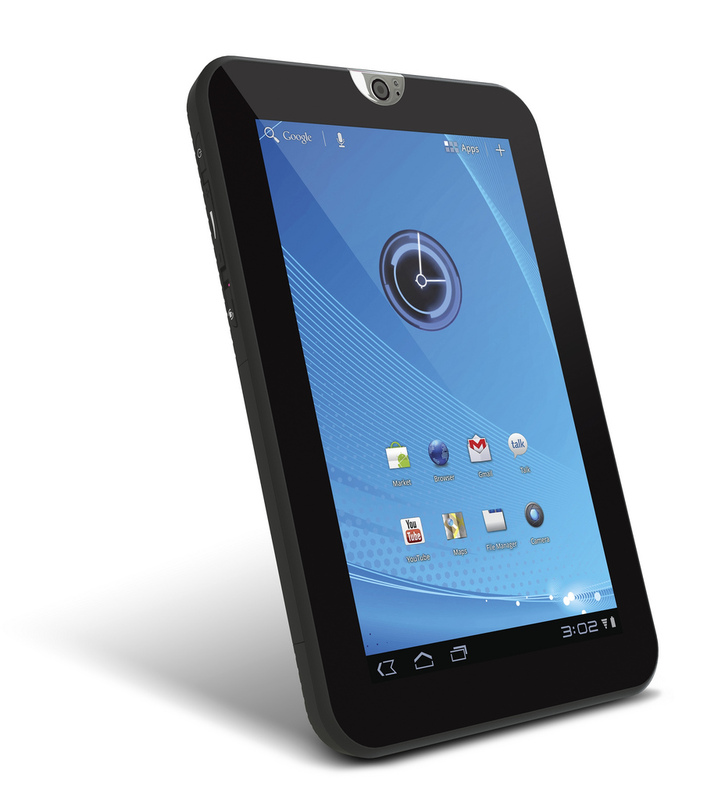 The lightweight Thrive 7″ has a LED backlit AutoBrite multi-touch display with 1280×800 resolution, backed byToshiba’s Adaptive Display and Resolution+ video enhancement technologies.It is powered by NVIDIA Tegra 2 dual-core processor, can be configured with 16GB or 32GB built-in storage capacity, and has GPS, WiFi and Bluetooth connectivity. 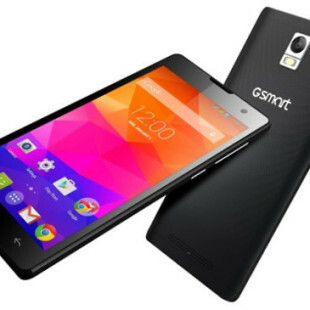 The tablet is equipped with Gyroscope for easy motion control for the latest Android games and has stereo speakers tuned with sound enhancement technologies from Toshiba and SRS Labs. 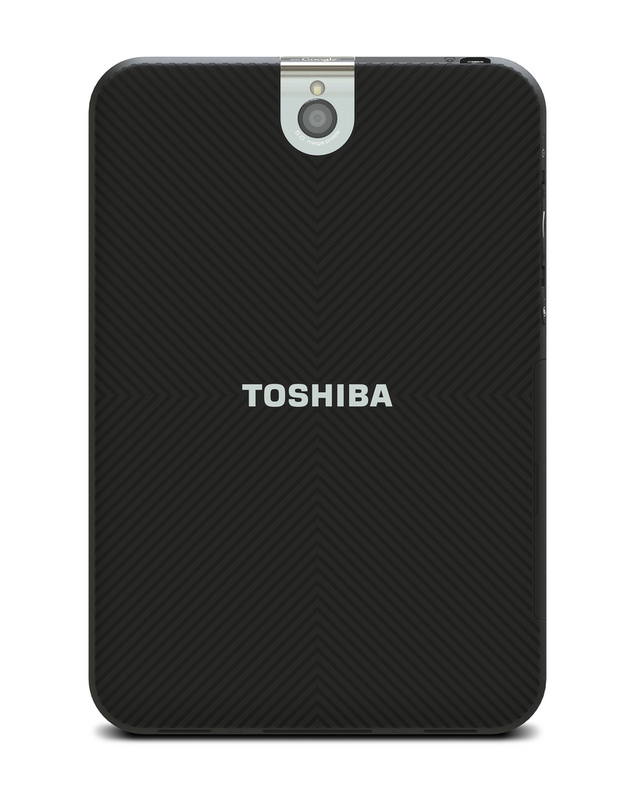 The Thrive 7 packs two HD cameras- a rear-facing 5 megapixel camera with an LED flash and a 2 megapixel camera on the front for video chatting. 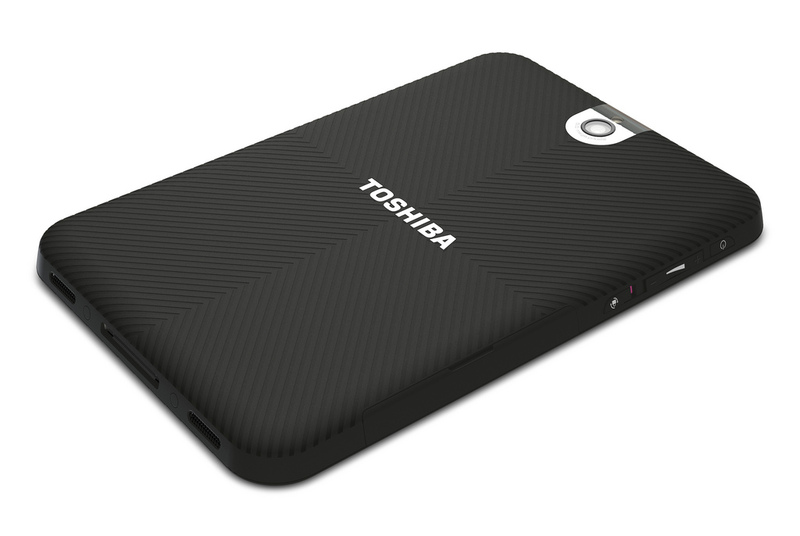 It also offers a microSD card slot, mini USB and micro HDMI ports. 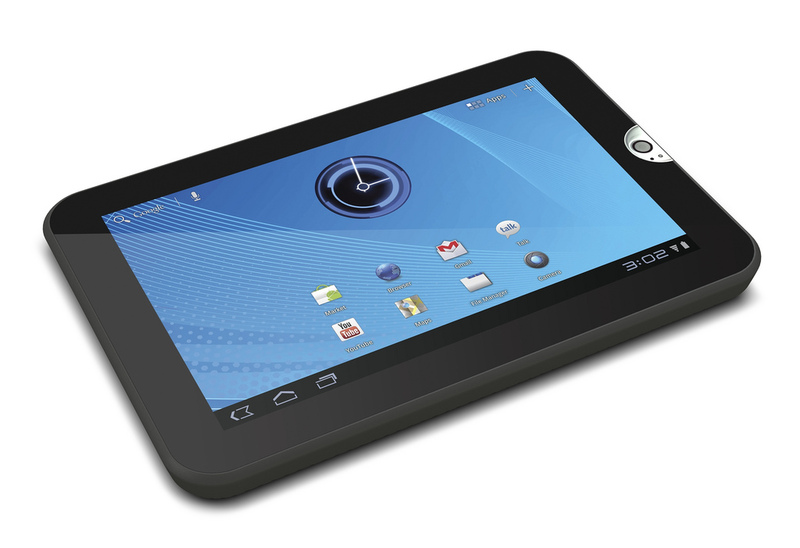 The tablet runs Android 3.2, supports Adobe Flash and comes with full suite of popular Google Mobile Service applications. 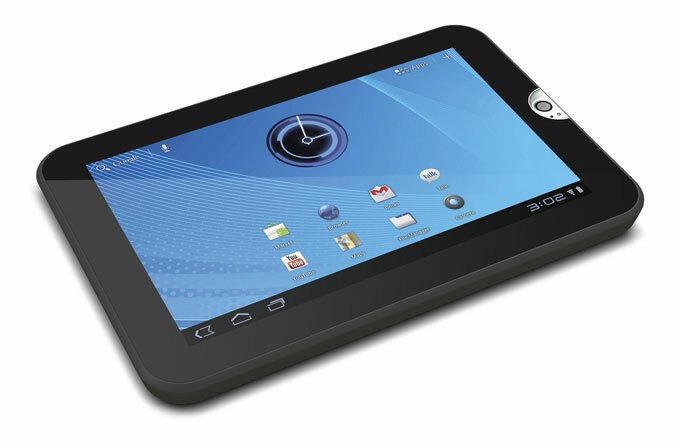 Toshiba Thrive 7” tablet will be available in December, but the prices are still unknown.